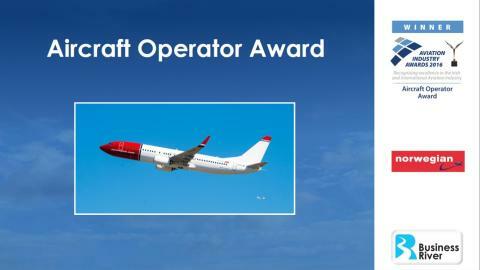 The Aviation Industry Awards recognises excellence in the Irish and International Aviation industry with Norwegian Air International (NAI) voted Aircraft Operator of the year by an independent panel of judges consisted of renowned aviation industry experts. Norwegian Air International is the Irish subsidiary of Europe’s third largest airline, Norwegian, and is based in Dublin with more than 2,500 staff representing the company. NAI has now received its long awaited foreign air carrier permit to operate direct flights to the US, which will unlock the door to further new routes and growth in Ireland. In the past year alone, NAI has grown from operating nine Boeing 737-800 aircraft to 44, carrying nearly 9 million passengers to destinations around Europe. 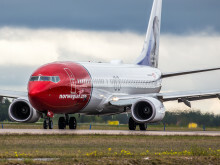 Norwegian was awarded two World Travel Awards in 2016 and was named the ‘World’s Best Low-Cost Long-Haul Airline’ for the second consecutive year and ‘Best Low-Cost Airline in Europe’ for the fourth year in a row at the renowned Skytrax World Airline Awards. The airline has outlined its full plans for Irish transatlantic routes, which will be revealed in early 2017 with the first flights launching next summer.